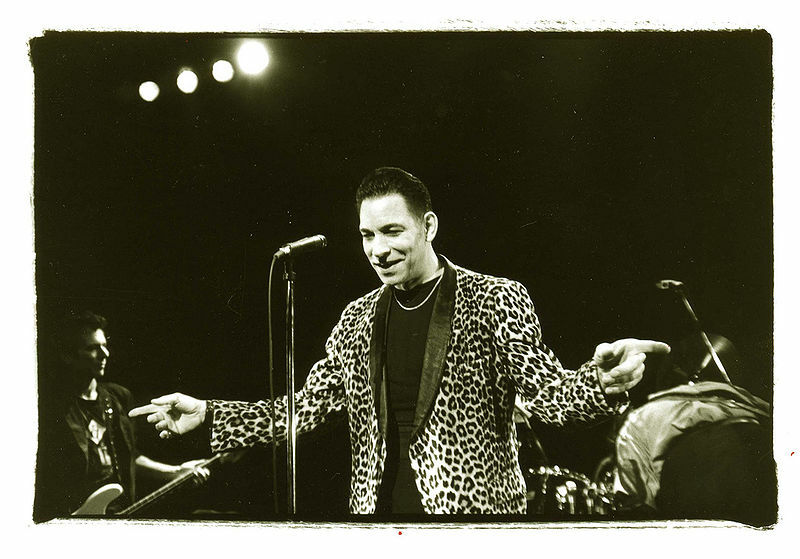 Chanteur US né en 1947 à Washington (Maryland), Robert Gordon contribua entre 1977 et 1980 au renouveau américain du Rock 'n' Roll et du Rockabilly, avec ses interprétations des oeuvres des Pionniers. 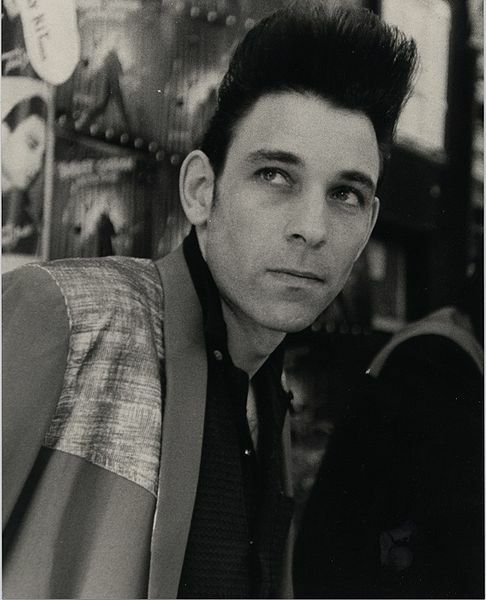 Robert Gordon aurait pu faire une grande carrière grâce à ses qualités vocales exceptionnelles mais fut éclipsé par la mode du Rockabilly Revival qu'il avait pourtant contribué à instaurer. For a time back in the late '70s, Robert Gordon was in an extraordinary position for a solo rock artist. The singer, then just over 30 years old, suddenly found himself leading what amounted to a rediscovery (he hates the word "revival") of authentic 1950s-style rockabilly music, two decades out of its own time. The rediscovery didn't quite lead to a revival, which probably suited Gordon just fine — he never defined himself as a revivalist — and his records didn't sell the way his label hoped, but Gordon ended up a celebrated figure among open-minded oldies buffs, rock & roll enthusiasts, and, generally, anyone with ears, whether they liked rockabilly music or not. Gordon was born in 1947 and grew up in Bethesda, MD, just outside of Washington, D.C. At the age of nine, he heard Elvis Presley's debut RCA single, "Heartbreak Hotel" — a life-changing moment that persuaded him that a career in music was what he wanted for himself. The world of rock & roll opened up for him and he went on to discover Gene Vincent through "Be-Bop-A-Lula" and Eddie Cochran through "Twenty-Flight Rock," and such performers as Jack Scott and Billy Lee Riley. He began playing and singing over the next few years, and made his professional entry to music at 17, leading a band called the Confidentials, who actually managed to record a few sides. That was also the year of the British Invasion, to which Gordon never really resonated — he kept his head down musically for the next few years, joining the National Guard to avoid being sent to Vietnam in the second half of the 1960s. He never lost sight of his goal of a music career, but he also realized that if he were ever to succeed, he would have to get out of D.C. to someplace where the music business was centered. In 1970 he moved to New York City. At the time, the city was one of two centers of the recording business (the other being Los Angeles), and the place was buzzing with music of almost every kind, and there was enough press in those days so that almost anyone might be discovered, given the opportunity and a few breaks. There just wasn't a lot of activity in the areas that concerned Gordon, and eventually he gravitated to the budding underground punk scene as a member of the Tuff Darts. There wasn't much, aside from the energy, that he appreciated about punk rock, however, and he didn't last in the Tuff Darts too long, though he was represented on their contribution to a legendary compilation called Live at CBGB's. He also found his way into the Amos Poe movie Unmade Beds, but that was as far as he got into the punk/new wave firmament of those years. His tenure with the Tuff Darts, however, allowed him to cross paths with Richard Gottehrer, a producer and songwriter (and an ex-member of the Strangeloves). Gottehrer — whose songwriting credits began with the Bo Diddley homage "I Want Candy" — had never lost his own love of '50s rock & roll, and he and Gordon found themselves on just about the same page in terms of the records the latter wanted to make. What's more, in Gordon, Gottehrer found a refreshingly real article; there were lots of rock & roll "revivalists" running around in the early to mid-'70s, aping and burlesquing the music of the 1950s (the group Sha Na Na — whom Gordon couldn't abide — had sold millions of records and gotten a nationally syndicated television show doing precisely that), but Gordon was a true connoisseur of the music. "Heartbreak Hotel" had been his entrée to Elvis Presley, but he knew the difference between it, what followed, and what had come before, and the difference between Elvis as the nationally hyped "King of Rock & Roll" and his earlier incarnation as "the Hillbilly Cat" and "the Memphis Flash." Gordon knew the importance of Elvis' Sun Records sides, even some of the least-recognized Sun songs, from a time before scholars had begun probing and annotating every note of Presley's early output — and he stacked Gene Vincent's "Woman Love" right up alongside the much better-known "Be-Bop-A-Lula." As much as anyone in 1975, Gordon knew his way around the music, and what parts of the music were really important. What's more, he appreciated '50s rock & roll on a level that most of the revivalists — many of whom had begun trafficking in it as a reaction to the music styles and social upheavals of the late '60s, as a rejection of radicalism and generational uprising — didn't, as the true music of rebellion. When Gordon resumed his career in 1976, he decided to push in the direction that he wanted, toward the rockabilly sounds that he loved. Gottehrer got him paired up musically with Link Wray, the North Carolina-born rockabilly guitarist (whose own background in rock & roll went back to a time before there was such a thing, playing with Gene Vincent all the way back in 1949), and the two inspired each other; Gordon was thrilled to be working with Wray, a rockabilly legend, and Wray found in Gordon a kindred spirit a half-generation younger. Soon they had the interest of Private Stock Records, a New York-based company headed by former Bell Records chief Larry Uttal. Gordon was an odd fit at a label best known for artists such as David Soul, Samantha Sang, and Rupert Holmes, but then, he would have been an odd fit almost anywhere at the time. 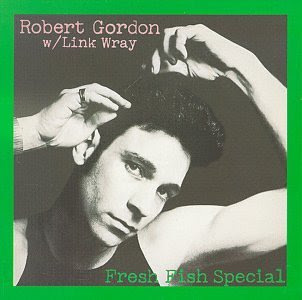 His debut album, Robert Gordon with Link Wray, released in the spring of 1977, was well received critically and started to sell in decent numbers. And then, just a few weeks later, Elvis Presley died at the age of 42. Gordon's album and the single "Red Hot" all began attracting attention from radio programmers who were suddenly interested in early rock & roll, and all of these events put '50s-style rockabilly music onto the mainstream airwaves for the first time in two decades, with Gordon as its living, breathing representative. A second album, Fresh Fish Special, released in 1978, was also favorably received by the press and the public. Gordon's credibility was enhanced by the presence of Bruce Springsteen — then still ascending to the peak of his superstar status — at one New York gig, jamming with the band, and his contribution of a song called "Fire" to the second Gordon/Wray album only added to the mystique of the man and the band (though his chance to score a hit with it was taken away by a rival version recorded by the Pointer Sisters). The presence on the same album of the Jordanaires, the gospel trio best remembered as the backup singers of many of Elvis' RCA recordings, seemed to pull several strands out of rock & roll history together at once. Among the other classics out of the past that Gordon restored to the popular culture in new, riveting versions was "Black Slacks," an old hit by the Sparkletones, and "Sea Cruise" and "Bad Boy." Even if the record sales weren't what anyone hoped for, Gordon's work was sufficiently popular (especially in Europe) to help secure reissues of the original recordings by many of the artists who influenced him. The association with Link Wray ended in 1978, and he was replaced by British guitarist Chris Spedding, who was of Gordon's generation and loved the music the same way he did. At the same time, Private Stock's financial picture had begun crumbling, and the label was closed down soon after the release of the second album — but executives at RCA, which had distributed Private Stock, were sufficiently impressed by Gordon's potential to sign him directly to the label. The picture, in some ways, was now complete, as Gordon was recording for the company that had helped make Elvis Presley a star. Three RCA albums followed, Rock Billy Boogie, Bad Boy, and Are You Gonna Be the One. Alas, RCA wasn't the same label in 1979 that it had been in 1956, in terms of market reach or merchandising muscle, and Gordon's sales only declined over the course of those three albums. His star never rose much higher than the point it reached with Fresh Fish Special, as the rockabilly boomlet proved to be just that, a cult phenomenon loosely associated with the garage punk underground movement and the oldies circuit (which Gordon abhorred). He ceased most recording after the start of the 1980s, but the constant release of bootlegged and poorly recorded live sets prompted him to release his own live album, 1991's Greetings from New York City. 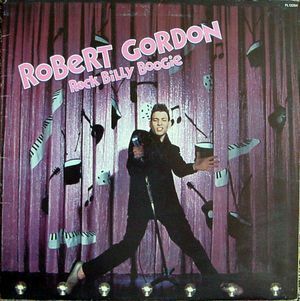 All for the Love of Rock 'n' Roll, a mix of soundtrack work, re-recorded material, and assorted outtakes, appeared in 1994, followed by a new studio album, simply called Robert Gordon, on Llist in 1997. Another new collection, Satisfied Mind, came out on Jungle in 2004. In 2007 Gordon reunited with Chris Spedding for a Rykodisc release called It's Now or Never, which also featured the Jordanaires. In 2009, Gordon licensed 25 cuts to Universal's Fuel imprint. Issued as a double-disc set, Live Fast, Love Hard features two live discs; the first pairs the singer with guitarist Wray playing tracks from their two LPs together, and the second with Spedding on tour during the RCA period. 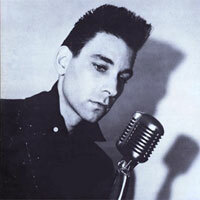 Robert Gordon est un chanteur américain né le 29 mars 1947 dont les genres musicaux vont du rock 'n' roll, country et rockabilly. Il participe au renouveau du Rockabilly dans les années 1970 en reprenant des adaptations des œuvres de Billy Lee Riley, Eddie Cochran, Gene Vincent, Sanford Clark, Jack Scott, Elvis Presley, Bill Haley, Conway Twitty. Il se présente aux côtés d'autres artiste comme lesStray Cats, mais n'arrive pas à s'imposer face à cette vague qui a assuré la fortune de ses successeurs. Il est né à Bethesda, banlieue de Washington, le 29 mars 1947. À l'âge de 15 ans, il chante dans une formation The Confidentials un morceau de Jackie Wilson Lonely Teardrops. Ce groupe changera ensuite de nom pour devenir The Newports. Gordon se marie ensuite à l'âge de 19 ans. De cette union naîtront deux garçons : Jesse et Anthony, ce dernier décède subitement en janvier 1998. La perte de ce fils fut un véritable choc pour lui. En 1970, la famille Gordon déménage à New York où elle ouvre un magasin de vêtements. Au milieu des années 1970, il divorce et revient à la musique. Ex-chanteur du groupe punk et rock 'n' roll new-yorkais Tuff Darts (premier album, Sire en 1978 sans lui) signe d'abord pour le label de Blondie, Private Stock, il est aussi produit par Richard Gottehrer qui lui présente Link Wray Ils réaliseront ensemble les deux premiers 30 cm de Gordon, accompagné par les WildCATS, puis partiront en tournée. Robert Gordon est un inconditionnel du rock'n'roll et choisi soigneusement ses reprises. 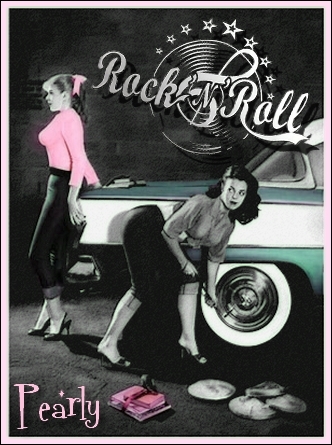 Il développe un jeu de scène qui est proche des chanteurs de rockabilly des fifties. Il engage en 1978 le frère d'Elliott Murphy, Matthew comme manager. En pleine vague Punk, Robert Gordon s'allie avec Link Wray en remettant au goût du jour le rockabilly grâce à des adaptations des œuvres de Billy Lee Riley, Eddie Cochran, Gene Vincent, Sanford Clark, Jack Scott, Elvis Presley, Bill Haley, Conway Twitty, etc. Il adopte le style cheveux gominés et banane. Dans les années quatre vingt, il écume les clubs et les salles aux quatre coins de la planète qui lui permettront de se faire une certaine renommée auprès des amateurs de rockabilly et de rock'n'roll. Sa carrière avec Link Wray (créateur de Rumble en 1958, s'accommode mal et ne correspond pas avec le style Rockabilly dont il se sépare. Il est remplacé par Chris Spedding un guitariste britannique. En 1978 il produit l'album Fresh Fish Special où figure une composition de Bruce Springsteen Fire accompagné au piano par ce dernier. En novembre 1979, il enregistre à New York une composition de Johnny Burnette, Rock Billy Boogie qui rencontre un succès en Europe en compagnie des Wildcat. Les critiques sont généralement élogieux. L'album suivant sortie en 1980 Bad Boy sera un échec. En 1982, il participe dans le film The Loveless aux côtés de Willem Dafoe. C'est un trés bon chanteur, et tout ses premiers enregistrements sont interressant car assez personnels au niveau du son et des arrangements il a renouveler le style et a donner un nouveau souffle au rock 'n'roll comme Cavan, Whirwind, Riot Rockers ou Matchbox le font en Grande Bretagne. juste pour l'excellentissime "feu" Danny Gatton.....seule video que j'ai trouvé sur le duo .